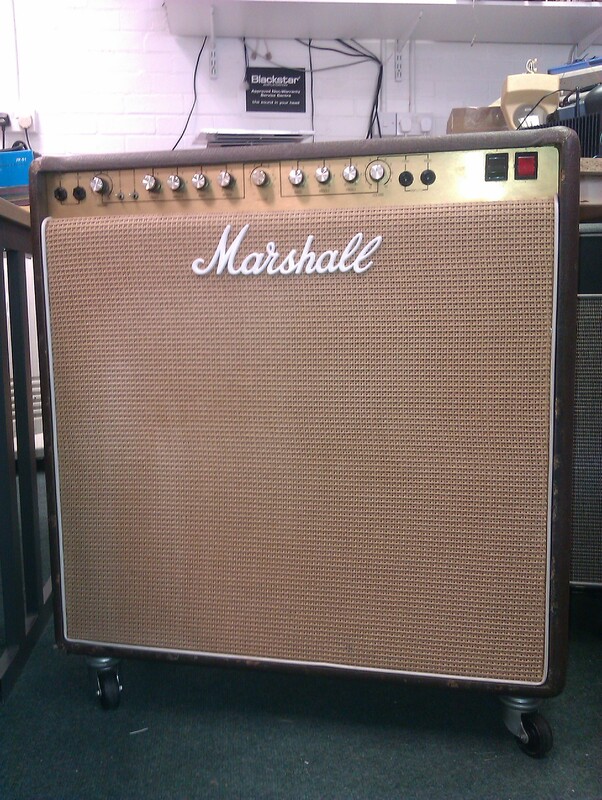 Marshall “Club & Country” 100W 4×10 combo. This series of amp was Marshall’s tilt at the Country music market. The amp was not a sales success, so the model was short lived. This one is loud and punchy, delivering a true squeaky clean 100W rms output power.